When was the last time I rocked my children or sang their last lullaby? There are so many lasts that I wish I could remember. Most likely I wasn’t aware that it would be the last time as it occurred. 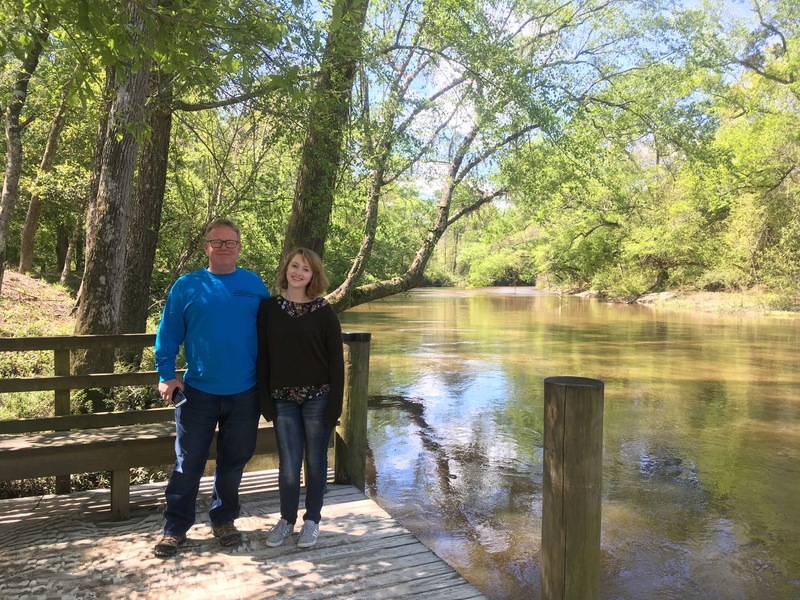 Our younger child, a Sophomore in college, decided to spend her Spring Break with her father and I this year, and it occurred to me that it might be our last Spring Break with her, and our last Spring Break of all, so I wanted to savor it. Scott and I had gone to New Orleans to celebrate our 25th anniversary a few weeks earlier, and we had so much fun, Margaret wanted to experience it, too. We decided to rent a house in Slidell, Louisiana, and from there visit New Orleans and other neighboring areas. The house was on a canal so that we could also do some fishing. 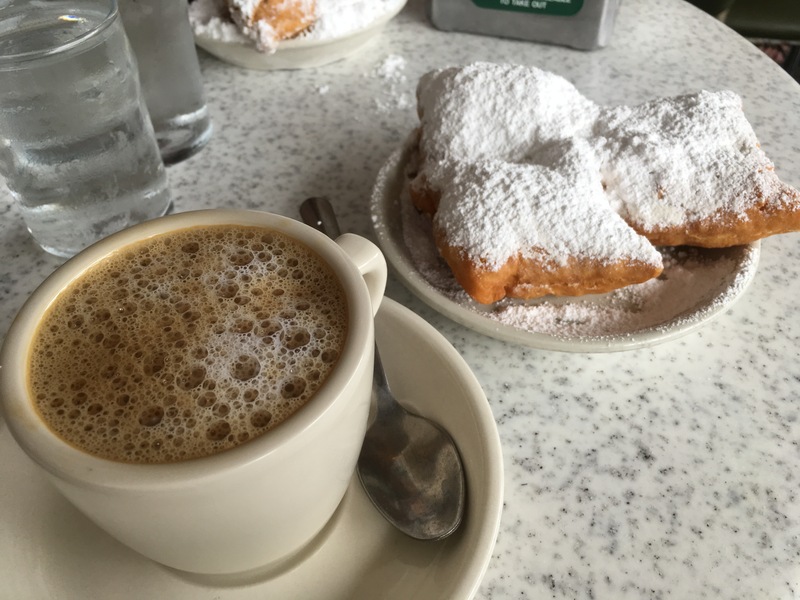 We love seafood, coffee, and beignets, (not necessarily all together) and they were calling our names. As it turned out, the fishing wasn’t very good, but thankfully the eating was! The look on her face says it all! 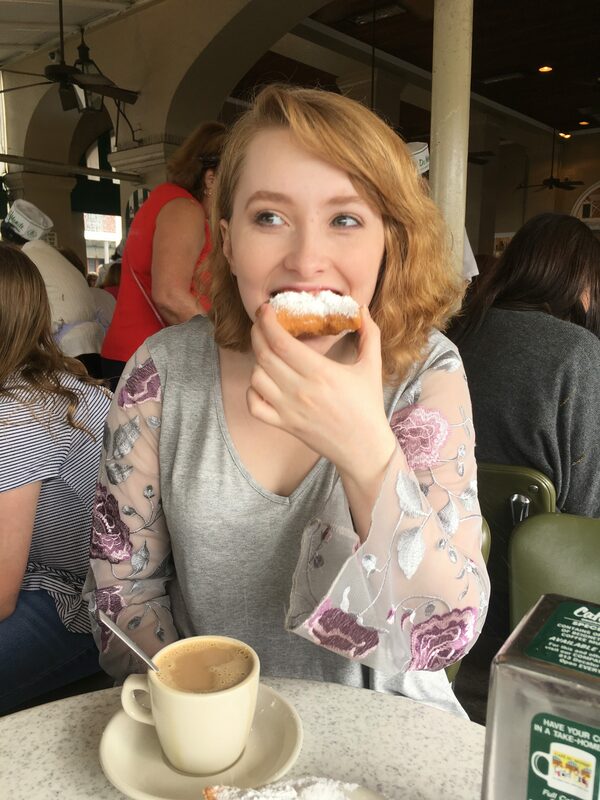 We spent time wandering the streets of New Orleans, admiring the architecture, shopping, experiencing its unique culture, and eating way too much of the delicious food. Our plan worked out real well, and we had fun exploring neighboring towns as well. One day we went over to Mandeville and Covington where we found a wonderful restaurant, The Chimes, along a bayou. We ate outside on the back deck, then walked down to take a closer look at the water. Another day we went the opposite direction. We had been given the recommendation to visit Bay St. Louis, Mississippi, so we did. We enjoyed walking around the quaint little town and its marina, and browsing in antique stores. We drove a little further down the coast, exploring, before returning to our rental for the evening. As we left our rental one morning, the neighbor lady caught us and exclaimed, “I called (the owner of our rental) and told them there’s a college girl here with her parents!” In that moment, I felt a little like a Blue-footed Booby. As we looked awkwardly at each other, I felt like that sealed the deal on our last Spring Break with one of our kids. We had several people make similar comments. We hadn’t thought it was that unusual, but it made me all the more determined to appreciate the time with her. Everywhere we went, we found new experiences, beautiful views, and wonderful restaurants with delicious food. We wanted to show our sweet Margaret a good time. 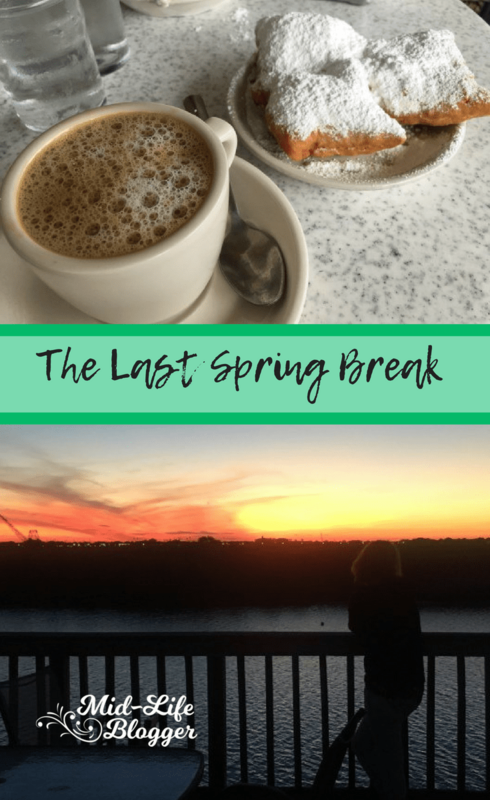 We all returned home a few pounds heavier, and hopefully with some precious memories of what may have been our last Spring Break. 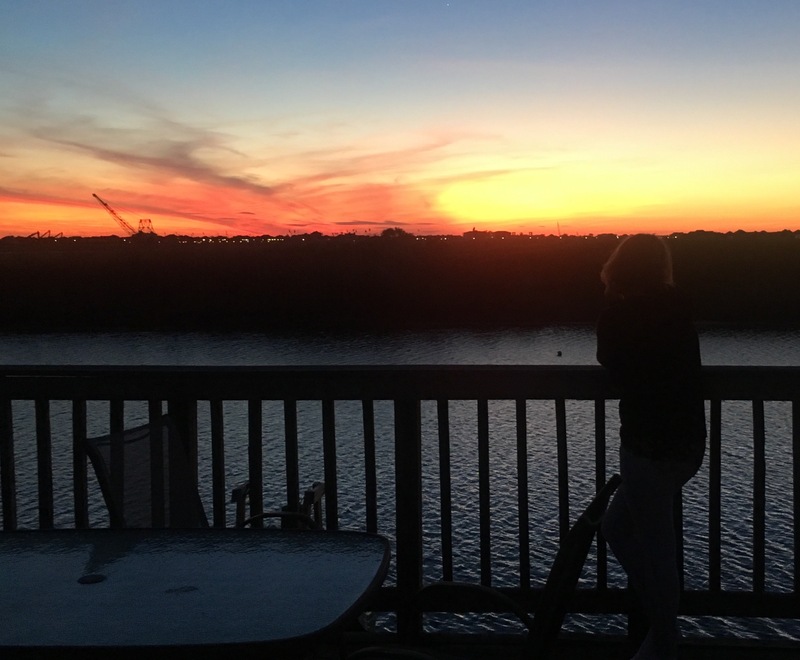 Margaret watches the sun go down on a beautiful Spring Break day. 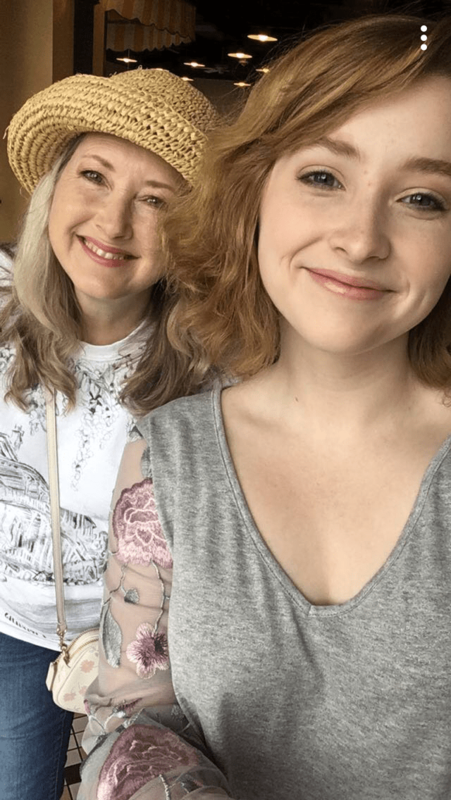 Empty Nest ~ What’s Next? That’s wonderful that you were able to do this with your daughter! And I’m glad you could enjoy it for possibly being the last. It’s so true that we often don’t know when the “last time” will be for so many big things in our children’s lives. I’m glad we were able to as well. I’m happy she wanted to spend that time with us. I suppose it is a bit uncommon, but what a lovely testament that your daughter wanted to spend spring break with you! I’m glad you were able to do enjoy the time together. You’re right… you don’t usually realize it will be the “last” when it happens. Thank you, Kathi! Me, too! It was a blessing! So glad you had that time with your daughter. My youngest graduated this past week and I was able to spend 9 days in England with just him and I. I will cherish that time forever, it may be a long time before he want to hang with mom again! Thanks for sharing! Oh, yes! That will be special! I think it’s awesome that you all got to on a trip as a family with your adult child for Spring Break. I don’t think it’s that unusual, but I do think it is wonderful! I hope to have a close relationship with my kids as they get older and I hope that we will still travel together (and look forward to it too!) Lovely post! Thank you, Marcelle! I appreciate that! I hope you have a great relationship with your adult kids, too!